Now is also a good time to inventory arrow and broadhead supplies. You may find many of what you have are missing fletchings or inserts, or that you just don’t have as many as you thought you did, sacrificing them to rocks and weed patches one by one during summer 3-D tournaments. Even if you don’t own a fletching jig (which every serious archer should, as re-fletching arrows really is a piece of cake), New Archery Products’ new heat-shrink, “instant-install” Quik-Fletch arrow-wrap/fletching units allow you to fletch a dozen new arrows in minutes with nothing more than hot water. I’ve used them myself with good results. They’re super-accurate and fairly durable, emerging intact after a complete pass-through on a trophy bear in one case. Your broadheads may have dwindled as well, or simply be in bad need of fresh, shaving-sharp replacement blades. In other cases your existing bow may only need an accessory update. Like every other aspect of our lives, technology moves ever forward, new products giving you that edge allowing you to break through a current plateau or simply shoot 10 yards farther. 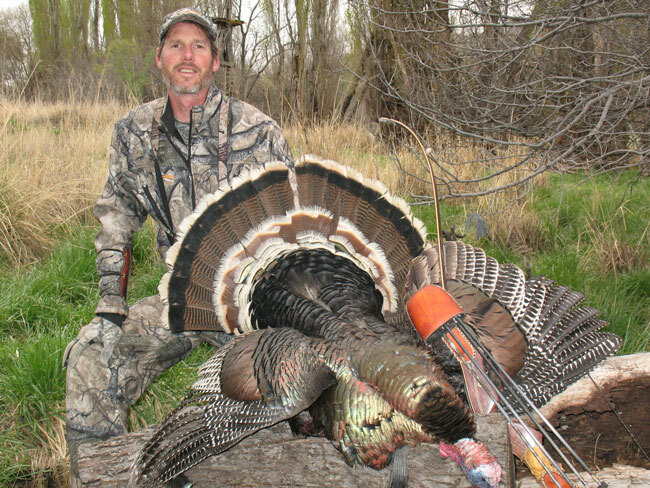 Better shooting, added confidence, leads to more bowhunting success. Just off the top of my head here are five easy fixes that will make even that 20-year-old bow more bowhunting efficient. In my opinion, to shoot a compound with release and not adopt a drop-away rest is to intentionally handicap yourself. The drop-away arrow rest provides an instant boost in accuracy potential by instantly eliminating any possibility of fletching contact and increasing forgiveness. Eliminating fletching contact makes bows easier to tune and allows using more aggressive fletching helical for better broadhead stabilization (especially fix-blade designs required by law in Northwest states). They make any bow more forgiving because arrows spend 25 to 50 percent less time in contact with the rest (and bow), meaning less opportunity to introduce human error through flinches and bobbles. The latest drop-away rests are easy to install and set up. They’re also more reliable than ever. Many models even combine fall-away action with total arrow containment. Some of the best names in this arena include Trophy Ridge, Trophy Taker and New Archery Products. All of these company’s products provide confident, no-look shooting. If you’re to shoot your very best, eliminating torque is a number-one priority. Torque comes from twisting or heeling the bow during release and causing arrows to fly off the mark. Gripping the bow unevenly during the shot is the most common culprit, though torque can also originate from improper equipment balance. A wrist sling and appropriate stabilizer are the answers. Wrist slings promote a proper, loose cradling “grip,” stabilizer(s) adding balance so there’s no need to apply pressure to the riser to get it to sit straight while shooting. The bow’s supported by creating a “U” of thumb and forefingers, and slipping the grip into this cradle so gravity holds it in place, not grip pressure. The sling only eliminates the fear of dropping the bow on release. Finding the right stabilizer’s about creating perfect balance, offsetting side-mounted accessories or forward or backward tipping. Audition several models (weights and lengths) to find the perfect balance, threading a short stabilizer into the riser rear if needed. Modern stabilizers also absorb excess vibrations; another accuracy advantage. Consider this: Money saved purchasing budget-priced arrows, verses the very best, amounts to no more than the two tanks of fuel you burned last weekend scouting or setting up stands. 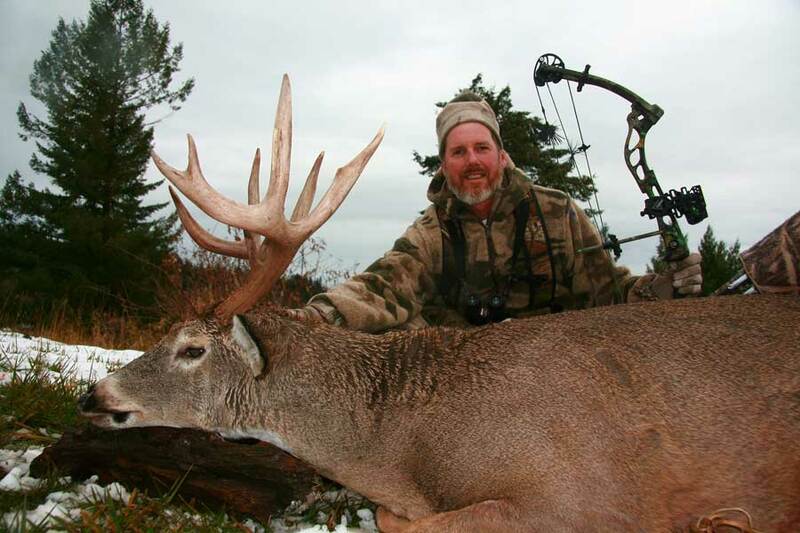 Buying the very best arrows is a cheap investment against bowhunting success. An extra $50 to $100 buys tighter straightness tolerances (+/- .001 to .003 good benchmarks), matched-weight dozens, and even spine around a 360-degree radius – in some cases more rugged dependability. Straighter arrows make broadhead tuning easier, more precise weight and spine consistency eliminating “fliers” common to cheaper shafts. You’re also buying confidence, knowing shafts can get no better. If your bow sight doesn’t hold fiber-optic pins it really is time to come out of your cave and join the modern world (even if shooting a 20-year-old bow). If you’re sight does hold fiber optics but is more than 10 years old you can enjoy more sighting precision yet. Small-diameter pins backed by long hanks of wrapped, housed or spooled light-gathering fiber not only extends shooting hours, but allows finer aiming in any light – easier on aging eyes, and obstructing less target area. Brightly-highlighted, round pin guards are also a huge bowhunting advantage. This allows using larger-diameter peeps (1/4-inch, for example), aiding in more precise low-light shooting by centering the pin guard inside the big peep instead of individual pins within smaller apertures. Adapting to this system normally takes little time and instantly makes it easy to detect small degrees of torque. Shots will begin to come off more swiftly and big bucks appearing at the very edges of shooting hours can be taken with complete confidence. If you’ve been shooting a release a while you understand how easy it is to fall into accuracy-eroding habits like trigger punching. This is most prevalent shooting standard index-finger releases. It’s not actually the fault of the release itself, but instead how most archers trigger them. Because most of us were reared on rifles we trigger bow releases with our sensitive fingertip. Therein lays the problem. To create a more controlled “surprise” release, first shorten the connecting strap/shank on your release so the jaws just reach the point where fingers meet your palm. At full draw the trigger should now hit your trigger finger across the middle pad. To execute a proper release, draw into your anchor and pull into the draw stops. Wrap your fingers as a single unit around the trigger, concentrate on aiming finely, pulling your shoulder blades together slowly or squeezing all the fingers as one (like pulling an ATV brake) until the shot cuts away. Again, this requires familiarization, but will ultimately make you a better shot. The other solution is to adopt a T-handle release with thumb trigger. Come to anchor, gently wrap your thumb around the trigger, and pull into the draw stops with shoulder muscles until the shot cuts. This is true and proper back tension and assures that even when nerves are at play you’ll produce a smooth, even release. Whatever your reason for considering an equipment revamp, right now is the time to implement those changes. 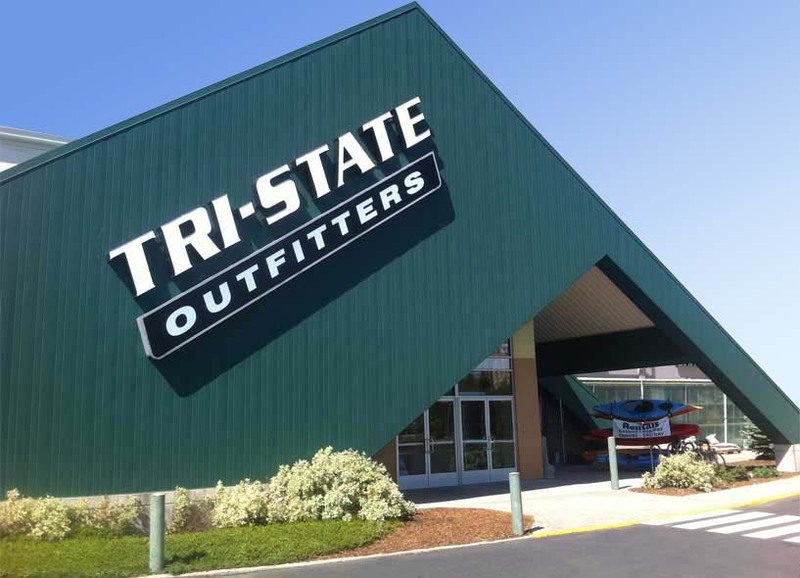 And Tri-State Outfitter’s Moses Lake, Washington, Lewiston and Moscow, Idaho, and Kalispell, Montana, expert technicians can help get your existing bow up to speed, choose the best accessories for your style of shooting or properly fit you for a brand-new bow from Bear Archery Products, Martin or Prime/G5. We can also special order just about anything in archery for those with special needs. Whether tweaking or completely overhauling your overall setup, doing so right now provides plenty of time to become accustomed to and fine tune your new outfit, leaving you better prepared for that big shot this coming archery season.